A few weeks ago, while all my friends still in school were in the midst of finals, I kept seeing all these Facebook statuses about how they couldn't stop playing this game called 2048 because it was the most addicting thing ever. So I said to myself that no way was I going near this, for the same reason I stayed away from Candy Crush and Flappy Bird and every other phenomenon that might ensnare me and my addictive personality. And then I played it anyway. The good news? My addiction now has some science behind it. According to neurologist Judy Willis, 2048 may look like a series of doubling numbers, but really it's a dopamine goldmine. And dopamine, which is a very useful neurotransmitter, is also kind of like an addictive drug the body produces naturally. It boosts both pleasure and perseverance, while decreasing stress. In other words, it's exactly what you need to accidentally spend two hours on a number game on your phone. 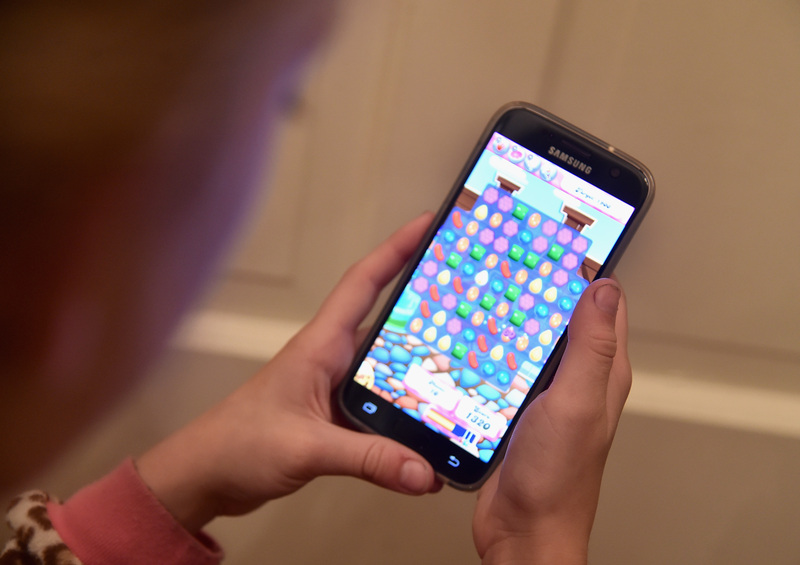 Willis says that 2048 and games like it "offer players two of the biggest dopamine boosters." The first is the ability to make predictions. Brains, like bookies and psychics, love making predictions. In fact they love it so much that even if you guess wrong practically every time, your brain will still be releasing dopamine just from predicting any outcome at all. It's perfect for the endless possibilities of a 2048 board. But winning is still important too. The second big dopamine boost 2048 offers is that it is challenging, but achievable. If a game becomes too easy or too hard, dopamine production starts to level off. But a game like 2048, with its necessary combination of luck and skill, will keep the dopamine production going strong. Of course, this really isn't anything particularly new. Dopamine is linked to addiction to everything from cupcakes to cocaine, so why not add internet games into the mix? But at least they haven't become as bad a video games yet. Yet. So there you have it, folks: the reason you can't resist the urge to merge 32s into 64s, or match up those shiny yellow lemon drops or try to steer flappy bird through the tubes. It's not because you're a lazy, unfocused numbskull with poor impulse control and no work ethic (though, I don't know, maybe you are); it's because you're actually a dopamine addict. Not that any of you should take this as an excuse to play 2048 if you have so far been spared. Because it is a horrible, addictive game that will ruin your productivity, and I am totally done with it. After just one more game.